mixing spoon, mixing bowl, applicator brush and mirror. While each of the products is available separately for replacement, it is only through the combined use of all six elements that the full benefits can be enjoyed. Aloe Vera has always been great for the skin. For centuries, numerous civilizations have used pure, fresh Aloe Vera to help their skin look and feel healthy, young and beautiful. The Egyptians, renowned for their continuous quest for physical beauty as epitomized by Cleopatra, used Aloe Vera for its moisturizing qualities in their efforts to remain young looking. Today, Forever Living Products has captured the full strength of the living plant and blended it into one of the finest skin care regimes available. Combining the benefits of traditional wisdom with the scientific knowledge of modern dermatology, Forever Living Products has spared no expense in researching and developing excellent products. 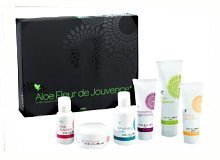 Each product in Aloe Fleur de Jouvence has been developed with great care and attention to the daily needs of our skin. 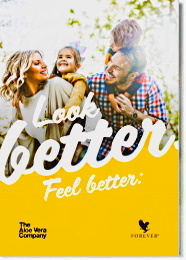 Forever Living Products starts with pure, stabilized Aloe Vera gel, and combines it with nature’s unique cellular substance, collagen , along with exceptional moisturizers, emulsifiers and humectants. This creates a unique skin care range that helps counteract the threat of time, weather and environmental elements. The preventive and restorative Aloe Fleur de Jouvence program in order to help promote the naturally occurring attributes of youth, vigor, freshness and radiance of the skin, provides a daily skin care regime and all the elements of a restorative beauty regime. Tone and freshen with Rehydrating Toner. Apply Firming Day Lotion daily. Apply Recovering Night Creme nightly. Give yourself an exhilarating Aloe Facial using Mask Powder and Aloe Activator. Morning Moisturize. - Firming Day Lotion is a hydrating moisturizer that helps skin retain its healthy, vibrant appearance. Gently massage lotion into the face and neck area. Evening Moisturize - Recovering Night Creme hydrates and soothes, replenishing your skin while you sleep. After cleansing each evening before bedtime, apply generously to face and neck area. An Aloe Facial is recommended 2 to 3 times a week to smooth, cleanse and tighten the skin while revitalizing your appearance. Aloe Activator is extremely effective as a skin cleanser and freshener, is a superb moisturizing agent and is the ideal partner to work in combination with the Mask Powder. 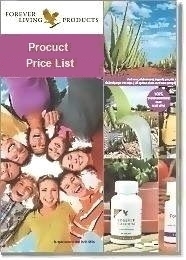 For additional benefits, use Forever Living’s Aloe Fleur Fabrique facial fabrique tissue. This revolutionary product heightens exfoliation by refining the pores and tightening the skin. Aloe Fleur Fabrique’s unique layering design also helps the skin better absorb the many wonderful nutrients found in the aloe vera rich moisturizers from Forever Living Products. In case of Allergic reaction, immediately rinse with warm water and consult your physician.